During the investigation of the well known Bebedouro UFO abduction, the team of Prof. Ney Matiel Pires encountered in that city, not too far from Mirassol, another UFO account related by Sr. Valdemir Menussi which occurred in February 1979. At that time Sr. Valdimir was working on topographical elevations for the region surrounding the approach to the bridge to Mendonca Lima and the bank of the Rio Grande in the Territory of Minas Gerais just to the north of Mirassol. On the 13th of February, Valdemir and four companions decided to fish the river as they waited for some kind of delivery service. At about 17:45 in the afternoon on this clear day, their attention was urgently drawn to a strange phenomenon taking place. A huge circular disc-shaped flying object of some 30 meters (nearly 100 feet) diameter approached and flew over the group at only some 300 meters above them. Following that, the tremendous aerial object took up a position very near and hovered there, suspended in the sky right over the river where they were fishing. At this point it was only some 700 meters away. The crew watched in amazement. All the observers could clearly see that the base of the flying disc was circular and flat with a small circular depression in the central part. The area around this concavity, at its periphery, was divided by radiating lines or segments, similar to the spokes of a cartwheel. In each of these segmented parts they could see an opening "like a ventilator". The superstructure on top looked like a large low cupola above the disc rim, flattened on top, with a second smaller cupola above that, and in the same way still, a third smaller, higher domed cupola on top of all. On the sides of the large rim, at the base, they could see dual recessed openings illuminated by some kind of fluorescent light. The huge flying disc executed gentle, silent movements in all directions and occasionally discharged some fumes or gas from vents. About one hour later the huge ship was still there hovering stationary, a little to the south as the whole rim rotated slowly when suddenly, from the base, near the center, three luminous "tubes" of "blue neon light" were projected, like cylinders extended straight down from the ship to the surface of the river. A moment later the recessed opening at the left, on the rim, suddenly discharged a luminous beam, like electrical sparks, in the direction of the water. "Do not be afraid, nothing unpleasant will happen to you. Remain calm. We are working here. In the future Earth will know." The second ray was stopped and the two recessed openings closed and disappeared completely, as though they had never existed. The huge object began to take on a blue luminescence, changing gradually to red and becoming more intense offering the observers a fabulous spectacular of light and color. In an instant the huge 100-foot disc-shaped craft projected itself straight up at incredible velocity and with little or no sound! The whole episode lasted one hour and twenty minutes. As he narrated this account to Professor Ney, Engineer Valdemir displayed considerable emotion. His story was confirmed by the other four men. Now this is truly (sic) a remarkable account and should never be overlooked. Here were five expert observers, trained in the use of size, distance and elevation calculations, all engineers, all familiar with the need for technical accuracy, working on their job in full daylight, in full awareness and alertness of all their faculties, and least subject to delusion by darkness, clouds, haze or any other atmospheric phenomena because none of those existed at the time. Their vision of the phenomenon was clear and unobstructed by anything for the whole time, and they were afforded ample time for detailed examination of the mammoth aerial craft, at close range, for one hour and twenty minutes! There were many other witnesses. How can this case be doubted? UFO Abduction at Mirassol, by Dr. Walter K. Bühler, Guilherme Pereira and Prof. Ney Matiel Pires. Translated from the Portuguese by Wendelle C. Stevens. © 1985. 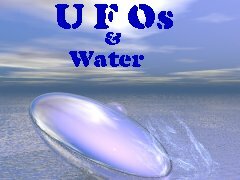 Note: An excellent “water” book “UFO: Contact From Undersea”, by Col. Stevens is available from him directly.